A. Houlihan Locksmiths Dublin provide a full range of mobile locksmith services to both residential and commercial customers throughout Dublin, and North Co Dublin. Locked out? We offer a Fast emergency service! All types of locks installed and repaired, Locks Re-keyed, Keyed-alike and Master keyed. Timber, Aluminum and PVC doors re-aligned. 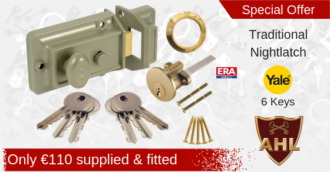 Locksmiths Dublin, safeguarding your home or business with the latest locking technologies & equipment. 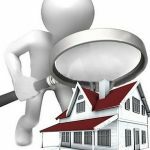 We strongly believe that our many years serving Dublin residents has given us not only a solid understanding of the geographical area, but also a unique appreciation of the area and its security requirements. There’s no charge for our locksmith to call to you! You only pay once your happy with the price and work has commenced. Prices are given up front so there are no nasty surprises. In the unlikely event that we are unable to meet your needs, or you are not happy with the quote we gives you, you pay nothing! By giving customers the service and respect they deserve, A.Houlihan Locksmiths Dublin has been rewarded with a loyal following of satisfied customers. And by word of mouth, these customers have referred neighbours, family and friends, who have joined the ever-growing rank of satisfied customers. Why not avail of our free quotation service. A professional locksmith is ready to offer any advice you may have, So why not pick up the phone & call A.Houlihan locksmith Raheny Dublin 5 today, and have a professional Dublin locksmith survey your premises for free! You can also text or email photo’s of your locks, for an immediate and accurate quotation. If you need advice on any lock related topic, a locksmith specialist will gladly reply to your questions via telephone, text message, email or social media, cost-free. So don’t hesitate to ask our locksmith a question, big or small. AHL Locksmiths Dublin, Call today on 01-8313877. 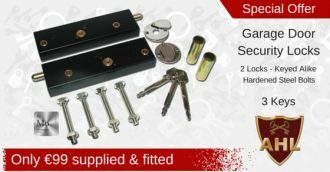 Emergency Mobile locksmiths Dublin & North Co. Dublin. A Houlihan Locksmiths Dublin, fully insured & offer a first class Dublin locksmith service, that is reliable and trust worthy. We offer complete residential locksmith service like lockouts, lock rekeying, lock repairs, replacing window locks, upgrading multipoint locks on uPvc & timber doors, and much more! 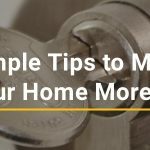 What To Expect From A Houlihan locksmiths Dublin? We are fast, friendly, offer free quotations, and our rates are affordable so there are no nasty surprises. To make it easy you can pay us by cash, cheque, PayPal, credit cards or debit card. 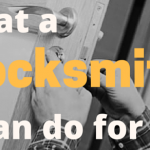 Among the many standard locksmith services we offer, A Houlihan Locksmiths Dublin specialise in uPvc & timber multipoint door lock upgrades, metal & timber fabrication for custom lock installations, that would otherwise be turned down by other locksmiths in Dublin. We also specialise in handmade keys for old locks. 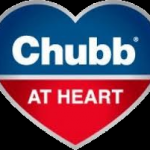 At A Houlihan Locksmith Dublin we take pride in using some of the leading and most reputable brands available within the security industry, enabling us to carry out the best treatments possible to a very high standard.We stock, Yale Locks, Union Locks, Chubb Locks, Iseo Locks & much more!